1. Alyssa Valdez (Ateneo) – Collegiate, Semi-Pro or Southeast Asian. Yeah. She really dominated the scoring departments in all three volleyball sectors. Aside from her hitting, her game really improved a lot this year especially her floor defense and blocking. This is definitely her year. 2. Rachel Anne Daquis (FEU/Army) – Volleywood Idol of the year. Aside from that, she really improved a lot especially in hitting and blocking. She has a personal 3-peat (FEU in SVL Collegiate, Army in PSL and Army in SVL Local Open). Definitely an asset. 3. 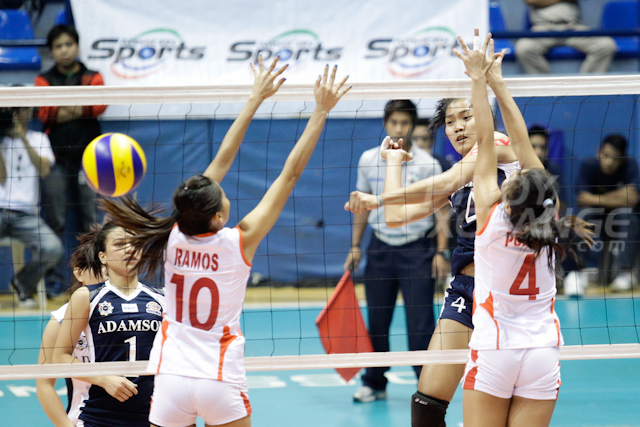 Dindin Santiago (NU/Petron/PLDT/Army) – 4 teams. That’s how in demand she is. But you can’t deny that she’s really the top middle in the country right now. Her versatility is also a big plus. She ended the year with a championship for her new mother team, Petron. And guess what? She has an offer to play in a European club. 4. 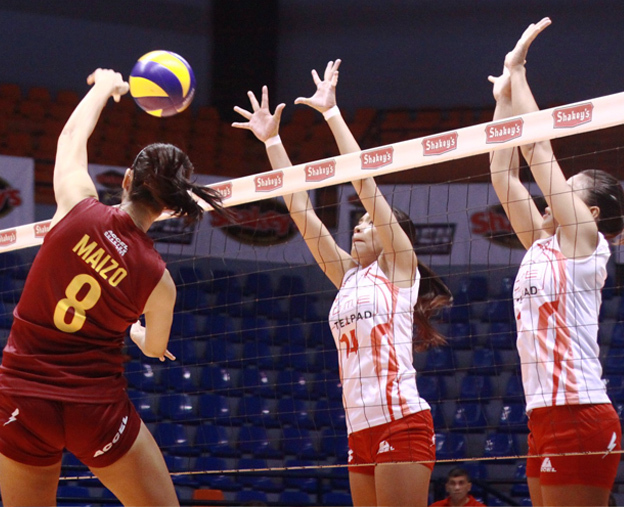 Aiza Maizo-Pontillas (Cagayan) – You might think she has peaked. But no, she improved a lot this year. I’m quite sure the game she is showing right now is miles away from her game before. 5. Ara Galang (La Salle) – Successful in carrying the team this year. Definitely an all around player, but her hitting and blocking improved a lot this year. 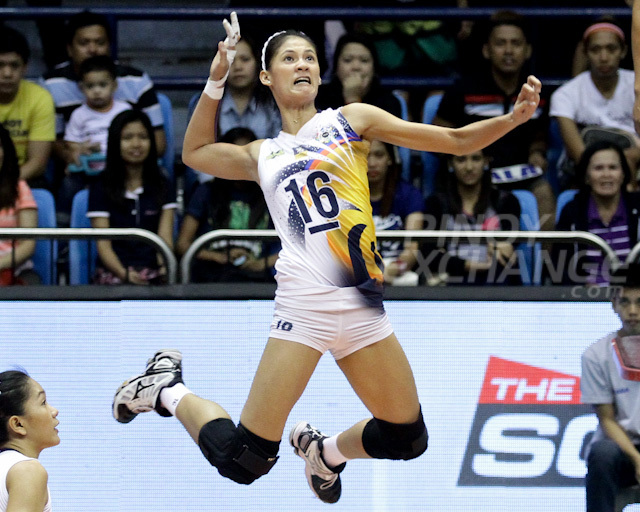 Floor defense has always been there but what makes her superb this year is her much improved power. 6. 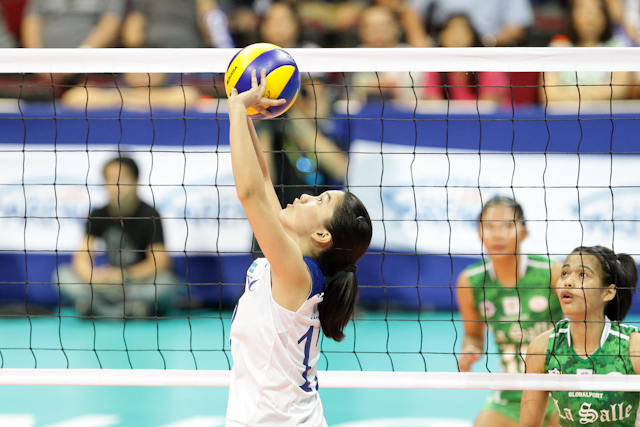 Jia Morado (Ateneo) – Young but I must say, she’s one of the top setters in the country now. She has adapted well with the Asian setting or brand of play and is making her teammates look good. She is also emerging as one of the team’s leader and her distributions are very good. Smart and aggressive. 7. Lizlee Ann Gata (PLDT) – Still sweeping the floor and still the best floor defense in the country no doubt. 8. Denden Lazaro (Ateneo) – Amazing year for Denden Lazaro. Incredible digging and receiving numbers. Also one of the top liberos in the country no doubt. 9. Jovelyn Gonzaga (FEU/Army) – 2013 was her best year but she still had the same game and same amount of intensity this year. Carried FEU and Army to win championships this year. 10. Mylene Paat (Adamson) – I’ve been bashed before for believing in this girl too much, and it’s my time to gloat (just kidding). I’m so proud of her. Even before I read her story, I really thought this girl would be a big catch for Philippine Volleyball. Prolly the next Maizo or Gonzaga. 11. 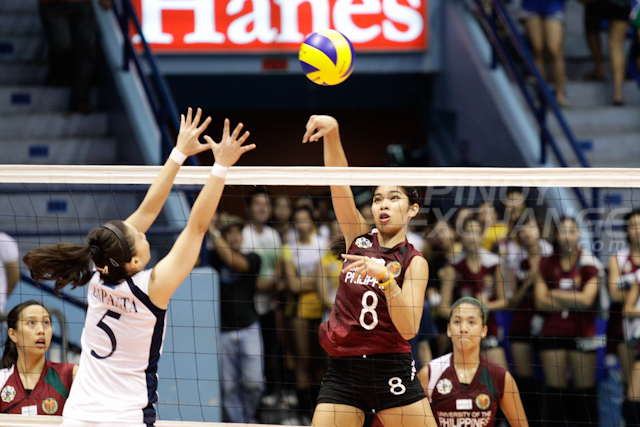 Kathy Bersola (UP) – 8 blocks in a game? Surreal. But 2014 was definitely her breakout year. Her quick and running hits are to die for aside from her beast-y blocking. I can’t wait to see her in the future. 12. Bea De Leon (Ateneo) – Yeah I guess you guys saw this one coming. I have never seen a rookie middle who can really do legit and powerful quicks for quite some time now. 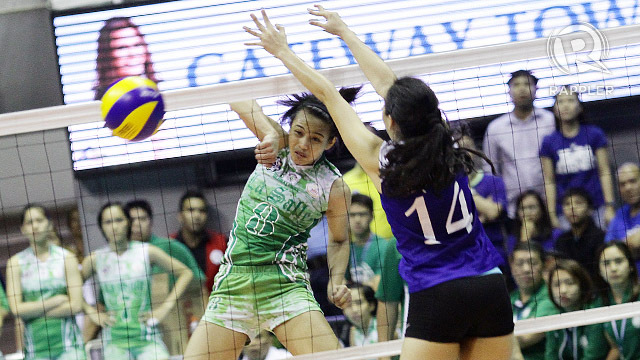 Aside from her hitting, she has great blocking and serving. I’m sure a lot of people are excited as to how Coach Tai will develop this young lady in the coming years.